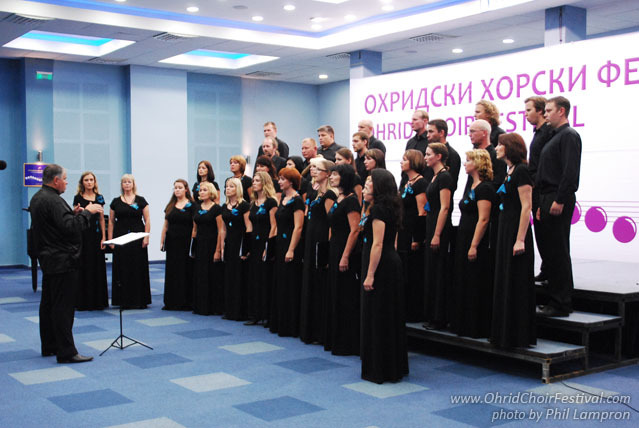 The choir was established in 1990; since 2000, the choir has been conducted by Arturas Dambrauskas. 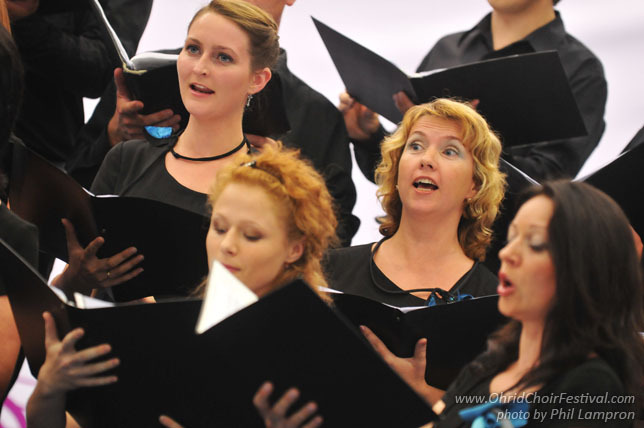 Currently, it is one of the most outstanding and promising choirs in Lithuania. The team has gained international recognition by participating and winning different prestigious contests and festivals in Latvia (2005, Ist place), Belorussia (2004, Ist place), Austria, Italy, Germany, Poland, etc. 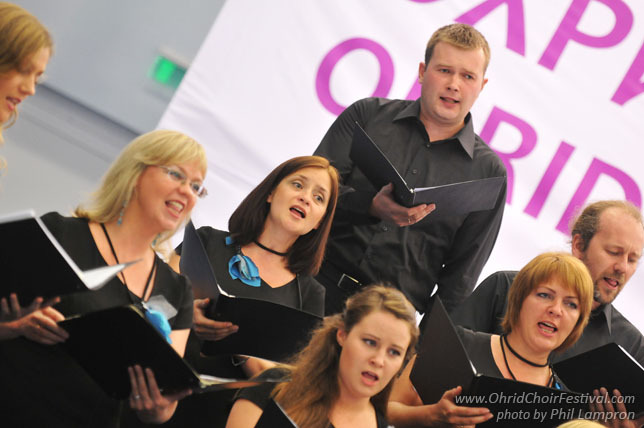 Special popularity was attained by “Cantare” in 2009, as it became the laureate of the contest „Lietuvos balsai” (“Lithuanian Voices”, 2nd place), organized by the Lithuanian National Television. 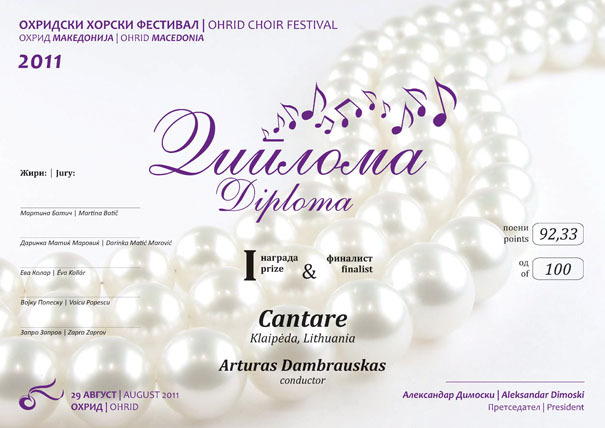 “Cantare” is an actively performing team in its home city and Lithuania with its repertoire of different epochs and styles, spanning from baroque to modern music, from sacral to pop music pieces. 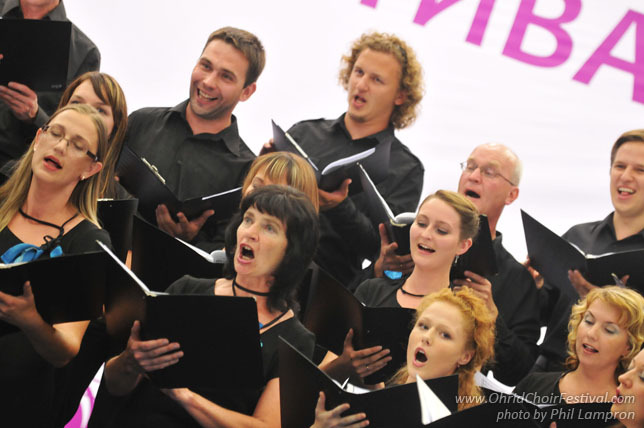 The choir is regularly co-operating with popular performers, and organizing concerts and TV projects. Arturas Dambrauskas was born in Vilnius, Lithuania in 1961. He studied choir conducting at St. Petersburg Conservatoire. His postgraduate studies continued at the Lithuanian Academy of Music. 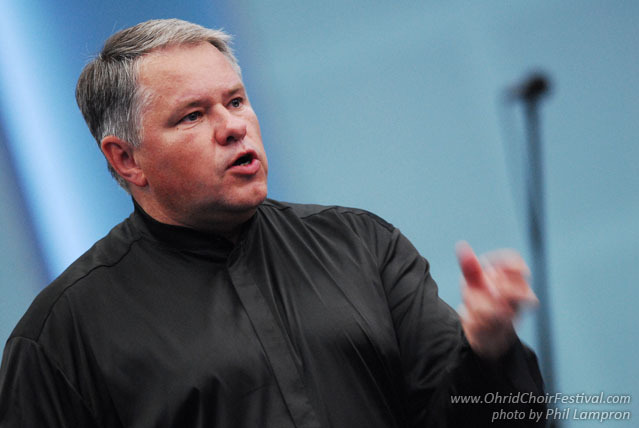 Currently, he is an Assistant Professor at Kaunas Vytautas Magnus University, Artistic Director and Conductor of the choirs “Bel Canto”, and “Cantare”, and Conductor the State choir “Vilnius”.